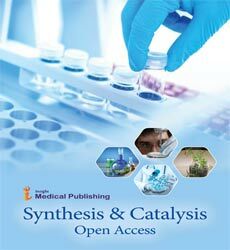 Synthesis & Catalysis: Open Access is a journal which publishes articles after thorough peer review process. This journal is highly useful to Chemists, medical students, and a resource for chemical process, as it is clearly describes the essential scientific information on protein synthesis, Organic synthesis, Chemical synthesis, Biosynthesis, DNA synthesis, RNA synthesis, ATP synthesis, Fatty-acid synthesis, Glycogen synthesis, Peptide synthesis, Chemosynthesis, Cholesterol synthesis, Collagen synthesis, Enzyme catalysis, DNA catalysis, Substrate-assisted catalysis, Enzyme catalysis entropy, Enzymatic catalysis, RNA catalysis, Asymmetric catalysis, Heterogeneous catalysis, Iron catalysis, Autocatalysis etc. This journal also covers the entire study on chemistry as well as applied research on synthesis and catalysis research. The main aim of this journal is to approach the practical application of synthesis and catalysis knowledge to variety of chemistry situations. The journal publishes original articles, commentaries, editorials, review articles and case report describing current and upcoming developments in the fields synthesis & catalysis. This journal encourages the scholars and researchers, who have interest in the field of chemistry research. Chemo-enzymatic catalyst has emerged as a global research interest in the modern chemical industry, where fine chemicals are synthesised using biocatalysis. Chemical catalysts which are based on the non-natural transition metals, can be instigate into proteins, to manufacture hybrid chemo-enzymatic catalysts with synergistic properties of organic compounds. Synthetic chemistry is most frequently used in the preparation of mono-functional and di-functional compounds from the smaller entities. It is widely used for the production of organic compounds that are having commercial interest. Enzymes are biological catalysts which lower the activation energy for reactions. The lower the activation energy for a reaction, the faster the rate. The enzyme have active site which is the location on the enzyme surface where substrates bind, and where the chemical reaction catalyzed by the enzyme occurs. The chemical mechanisms that enzymes use to make it easier to get to the transition state are proximity, orientation, induced fitreactive amino acid group and coenzymes and metal ions. An enzyme catalysed reaction involving the formation of enzyme-substrate (ES) and enzyme-product (EP) complexes. Enzyme Engineering, Cloning & Transgenesis, Bioenergetics: Open Access, Journal of Molecular Catalysis B: Enzymatic, Enzyme catalysis in water pools. Zeolite are naturally occurring large group of minerals but can be produced industrially. They are used as cation exchanger and molecular sieves because of their properties to rehydrate and dehydrate. Femtochemistry is a branch of physical chemistry that studies chemical reactions on extremely short timescales, approximately 10−15 seconds (one femtosecond, hence the name). The experimental methods are based on the use of femtosecond laser pulses. Femtochemistry explore that which chemical reactions take place and also investigates that why some reactions occur but not others. femtochemistry is yielding exciting new discoveries from analysis to control of chemical reactions, with applications in many domains of chemistry and related fields, e.g., physical, organic and inorganic chemistry, surface science, molecular biology, etc. Cloning & Transgenesis, Clinical Chemistry: Open Access, Journal of Advanced Chemical Engineering, Femtochemistry in Nanocavities: Reactions in Cyclodextrins, Femtochemistry: the role of alignment and orientation. Angio means blood vessels and genesis means creation. Therefore, Angiogenesis means the origination and development of new capillary blood vessels in normal or malignant tissue. Angiogenesis is an important process of the body which is controlled by chemical signals produced in the body during health and disease condition. These chemical signals can help to stimulate the repair of damaged blood vessels as well the formation of new blood vessels. Abnormal growth of blood vessel, whether it is excessive or insufficient, is known as a “common denominator”. It underlying many deadly and debilitating conditions which including cancer, skin diseases, age-related blindness, diabetic ulcers, cardiovascular disease, stroke, and many others. Aurophilicity is a term which was introduced in 1989 to describe the phenomena in the structural chemistry of gold. It helps in the understanding of the unique properties of gold which cannot be readily rationalized by conventional concepts of chemical bonding. It is the tendency of gold complexes to aggregate via formation of weak gold-gold bonds. The binding energy of aurophilic interactions is 20–60 kJ mol−1. An important and exploitable property of aurophilic interactions relevant to their supermolecular chemistry is that while both inter- and intramolecular interactions are possible, intermolecular aurophilic linkages are comparatively weak and easily broken by solvation. Metallophilic interactions is the similar term for other heavy metals, such as mercury and palladium. Journal of Physical Chemistry & Biophysics, Journal of Environmental Analytical Chemistry, Research & Reviews: Journal of Chemistry, Gold Chemistry: The Aurophilic Attraction, Aurophilicity−Coordination Interplay in the Design of Cyano. Krypton is an inert, monatomic gaseous element, present in very small amounts in the atmosphere. Sir William Ramsay and Morris Travers were founder of Kryptonin 1898. It is used commercially as a filling gas for energy-saving fluorescent lights. It is also used in some flash lamps which are used for high-speed photography. Krypton is one of the rarest gases in the Earth’s atmosphere. It makes up just 1 part per million by volume. It is extracted by distillation of air that has been cooled until it is a liquid. As it is a heavy gas, it is used as sealing between the glass of some double-paned windows to help them trap heat. Krypton has other scientific superpowers as well. Radioactive isotopes of krypton - versions of the atom with differing numbers of neutrons in their nuclei are produced naturally when cosmic rays from space hit krypton atoms in the atmosphere. Chemical Sciences Journal, Journal of Earth Science & Climatic Change, Journal of Geography & Natural Disasters, The world of krypton revisited : Nature Chemistry, Crystallographic Studies of Krypton Difluoride. Neighbouring group participation is also known as anchimeric assistance. It act as useful tool for synthetic chemists. It is defined as the interaction of a reaction centre with a lone pair of electrons in an atom or the electrons present in a sigma bond or pi bond. Journal of Chemical Engineering & Process Technology, Structural Chemistry & Crystallography Communication, Journal of Organic & Inorganic Chemistry, Model dehydrogenase reactions, Neighboring Group Effects on Ester Hydrolysis.